Here at A-1 Fire Protection, we are a proud distributor of Amerex Fire Extinguishers along with providing service and maintenance on all types of fire extinguishers. Our fire extinguisher services include recharging all sizes, six year maintenance, hydrostatic testing, inspections, and service tags. Six Year Maintenance – Is an internal inspection procedure which examines the extinguishing agent, shell and all mechanical parts. This is to give maximum assurance the extinguisher will operate safely which is required by NFPA. Hydrostatic Testing – Consists of testing equipment to ensure reliability of the cylinder under pressure. This is mandated by the Department of Transportation (DOT) and required by NFPA. Dry chemicals, Clean Agents and extinguishers are to be hydrostatic tested in twelve (12) year intervals. Carbon Dioxide (CO2) and Water Extinguisher’s are hydrostatic tested in five (5) year intervals. 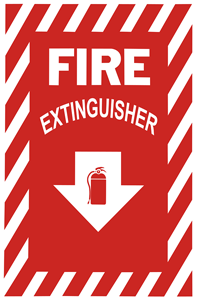 Click the links below to learn more about each type of extinguisher.